I am directed to refer to your letters no. 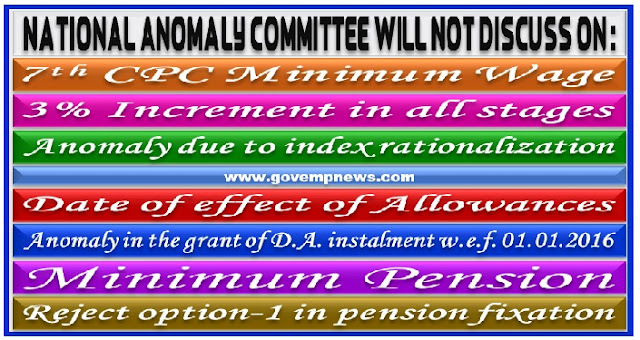 NC-JCM-2017/7th CPC Anomaly dated 16th August, 2017 and 31th August, 2017 with which a total of 18 items have been sent to DoPT for discussion in the NAC meetings. 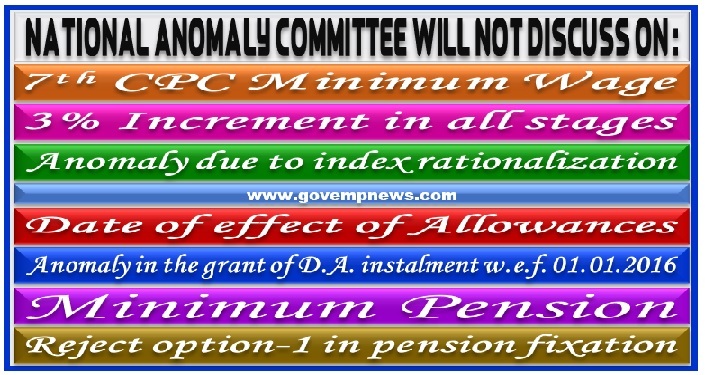 These 18 items are about various issues over which, the Staff-Side has opined, anomaly has arisen as a result of the 7th CPC's recommendations or absence of them.